CG B.Sc Nursing 2019 Application Form has been released. CG B.Sc nursing entrance test is conducted by the CPEB board also known as CG Vyapam. Through this entrance test, candidates are offered admission into B.SC nursing programme. Various institutions at Chhattisgarh state give admission on the basis of CG B.Sc Nursing scores. In this article, we have provided the complete details related to CG B.Sc Nursing 2019 Exam including application form, exam dates, eligibility etc. CG B.Sc Nursing 2019 application form has been started from 9th April 2019 for Pre B.Sc Nursing & Pre PB Nursing.Check here for application form details. CG B.Sc Nursing 2019 Exam Date has been released. The examination will be conducted on 16th June 2019 (Pre B.Sc Nursing) & 23rd June 2019 (Pre PB Nursing). Check other dates from below. Candidates can fill the CG B.Sc Nursing 2019 application form by online mode. The online application form filling process has been started from 9th April 2019. Candidates must fill their application form correctly and submit it before the last date which is 5th May 2019. Candidates have to upload their photograph, signature, thumb impression and name as per the size (≤ 50KB), dimension (4.5cmX 3.5cm) in JPEG format. After filling and submitting the application form successfully, candidates must take out the printout of the form for use in future. Gender: Only female candidates are eligible. Male/Non domicile/Transgender can apply only under management quota seats. Qualifying Exam: Candidates must have passed their 10+2 level examination or its equivalent from Chhattisgarh board. Qualifying Subjects: Candidate must have qualified his 10+2 level with the subjects of Physics, Biology, Chemistry and English. Minimum Marks: Candidate must have obtained minimum aggregate of 40% marks in the exam. Age Limit: The minimum age of the candidate must be 17 years as on 31st December 2019. For general nursing and midwifery, the maximum age limit is 35 years. Maximum age limit for serving candidates is 45 years. Domicile: Applying candidate must belong to Chhattisgarh state. Exam Mode: The exam will be conducted through Pen and paper mode. No. and type of Questions: Candidates will be asked total of 100 multiple choice questions. Total marks: CG B.SC nurisng 2019 exam will be of total 100 marks. Subjects:The questions will be asked from various topics of the subjects of Chemistry, Physics and Biology subjects. CG B.Sc nursing 2019 Syllabus can be checked by the candidates through the website. The topics included in the syllabus will be asked from the subjects of Physics, Chemistry (General, Physical, Organic and Inorganic chemistry) and Biology (Botany/Zoology). Candidates must prepare for the test as per the syllabus prescribed by the authority. Candidates must start their preparation by going through the complete exam pattern and syllabus. Make a study routine and follow it strictly on a daily basis. Candidates can solve sample papers or previous year’s questions papers for practice. Candidates must make short notes andreview the topics studied. Candidates can attempt online and offline mock tests. The admit card of CG B.Sc Nursing 2019 will be downloaded through the official website. Students will download the CG B.Sc Nursing 2018 admit card by entering their registration ID. The admit card is expected to be released in the 2nd week of May 2019. The details present in the admit card will be candidate’s name, roll number, exam time and date, test center address, etc. The CG B.Sc Nursing 2019 result will be declared in the 2nd week of June 2019. The CG B.Sc Nursing result will be released by online mode in the form of merit list. The results will be checked by entering the candidate’s roll number and date of birth. The board will prepare the merit list on the basis of score obtained by the candidate. Those candidates whose name will successfully appear in the merit list will be eligible for further admission process. CG B.Sc Nursing 2019 counselling process is expected to start from 1st week of September 2019. It will be continued till 3rd week of September 2019. The counselling process will be organized by online mode on the basis of merit list. During the counselling process, candidates have to fill their choices as per their rank. CG B.Sc Nursing Exam 2019 will be conducted in offline mode in the month of May 2019. Candidates who will clear the entrance test and counselling process will be successfully admitted in various government or private institutions at Chhattisgarh state. If you have any query regarding CG B.Sc Nursing Exam 2019, you can ask your query in the comments section given below. 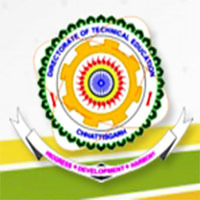 Chattishgarh b.sc entrance exam will be held in which medium. Me rajasthan ka hu kya me CG bsc nursing ka form apply kar sakta hu?